A disturbing trend has been developing. It turns out that the playground where you assume your child will be able to safely burn off some pent up energy could result in a trip to the local emergency room. The publication, “Pediatrics”, reports that the number of traumatic brain injuries children between the ages of 0 and 14 has drastically increased. Between 2001 to 2013, it’s estimated that an average of 21,100 children every single year were admitted into emergency rooms across the country with traumatic brain injuries that were sustained while playing at a local playground. The lowest number of emergency room admissions was in 2005 when just 13,720 children sustained a playground related brain injury. The number climbed to a staggering 32,020 emergency room visits in 2012. According to the hospital reports 28% of these injuries were sustained on playground gyms with swing injuries accounting for another 28% of the injuries. What’s truly alarming about these numbers is that so many playground managers have gone to great lengths to make the space as safe as possible for kids. They’ve done everything from creating softer surfaces to soften the impact if a child falls, to replacing older equipment with less risky equipment. The increase in the number of playground related incidents combined with the safer play areas prompted researchers to take a closer look at the data. In this instance, researchers used the national injury surveillance system to study the ER cases. 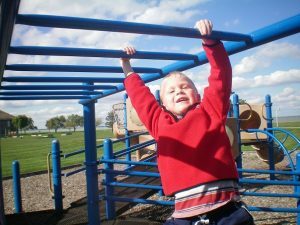 The information they revealed that there was more to the increase in traumatic brain injuries than just a simple fall from the monkey bars. If are your child victim call car accident lawyer. It turns out that as a direct result of both the government and insurance companies insisting on more detailed reports regarding emergency room visits, the emergency room doctors have been very careful with their discharge coding. So instead of simply saying that the child was hurt in a fall, like they would have written a few years ago, the doctor now reports that the child bumped their head after falling at the playground. Another factor that has to be taken into consideration is how much more aware the general public has become regarding the dangers of falls and head injuries. Twenty or even fifteen years ago, a parent might not have though a head getting bumped while their child playing was something that warranted a trip to the emergency room. Now, armed with improved knowledge about the long lasting dangers of concussions, parents will take their child to be checked out no matter how hard their child struck their head, which is smart. There have even been reports about schools refusing to let students attend classes following a fall on the playground until that student has been checked out by a member of the medical community. 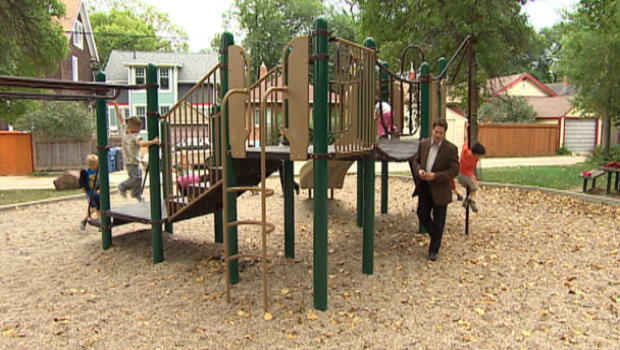 “I’m encouraged by the reports indicating that parents, schools, and the medical community are taking head injuries so seriously, and I hope the information means that schools, parks, and community parks continue to be diligent about providing local children with a safe place to play and be kids,” states Drew Warren managing partner of a top personal injury firm with an office headquartered in California.